Log 12 – Upgrade your space suit in ROKH	Great news this week, stay tuned! My second question is which is also a request is whether or not we can visit the low orbit on mars with tiny rocket ships and build bases in space that orbit the planet… that would be so cool. First of all, remember that the GDC demo was really early pre-alpha, so we were showcasing only the most basic features of our habitat building system in this prototype. We have now integrated many different tiles, new layout, and you’ll be able to customize the color. The style of the tiles have also completely changed, it now looks as it’s made from composite materials. Of course, we have also new materials such as glass, mix between glass and metal, or barriers. Finally, we are developing special type of round tiles to create bases with a more sci-fi style, with rounded angles instead of right angles only. 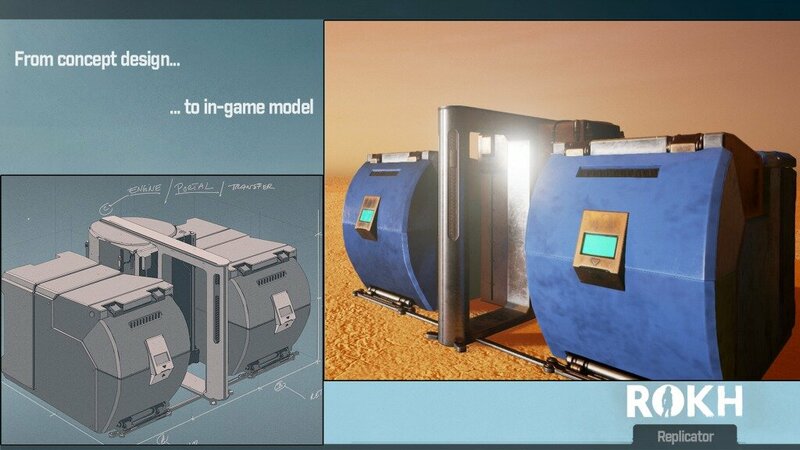 For early access release, you won’t be able to visit Mars in low orbit or build bases there, but that’s a feature we keep definitely in mind for the future.